So, league leaders Celtic are booed off as they draw at home to Dundee, enabling Aberdeen, with victory at Dundee United, to narrow the gap to four points. Meanwhile, Partick Thistle get back to winning ways with a convincing display at St Johnstone. Highlights of the game at McDiarmid Park will be available on our site after midnight; those from tonight's other two Premiership matches will follow tomorrow. "I thought our performance merited a draw. We didn't start as well as Aberdeen and they were really quick off the mark. "I am very, very disappointed. It was a poor performance from start to finish, as a team, not individuals, all over the pitch. We looked slow and always a metre too late, which is disappointing. It is about confidence and getting energy back. Today it seemed like they had flat batteries. "It's my responsibilty; we need to lift everybody as a group. The performance today wasn't good enough and everyone in the dressing room understands that. "We need to get back on track again on Sunday [against Morton in the Scottish Cup]. We need to perform as well as we can." "When I see my players with the way they've played in the last couple of games, there was a lot of frustration from Saturday [the draw with St Johnstone] and shipped two points from a winning position. "We were all angry but we came out and ensured we got reward for our dominance tonight. I'm always encouraged by my team and I'm always confident that, when a game comes round, we can win it. "For us to force the issue, with 10 games to go, we'll need to ensure there's no sloppiness and there's no room for error and keep winning games. I firmly believe we can keep winning..."
"We asked the lads for a reaction and a response [to Saturday's defeat by Motherwell] and we got that. "the pitch was hard to play on but I thought our lads knocked it about really well." "We lost a game we went into with a lot of confidence. We were alright in the first five minutes but if you don't make tackles and allow shots from the edge of the box, then you find yourselves 2-0 down. "Two lapses of concentration and we end up 2-0 down with an uphill task. We didn't work the keeper [enough] and were guilty of wrong decisions in the final third. "These [St Johnstone] fans have had four unbelievable years and there's a wee blip at the minute. They do show their frustration but, if you go and win on Wednesday night then they'll be back cheering you on again. "But I'll defend the players: they're still in the top six." "A terrific win for Alan Archibald's team built on a first half of genuine quality and a second period in which they held off St Johnstone fairly comfortably overall. The home fans were not at all happy with this and their form is concerning as they drop down the table." "I'm thrilled. I thought the gameplan worked well; we came here and changed our system - going to a back three, two wing-backs, three in midfield and two up. We didn't sit off Celtic and we caused them problems, especially the last 25 minutes. Celtic are booed off by their supporters. 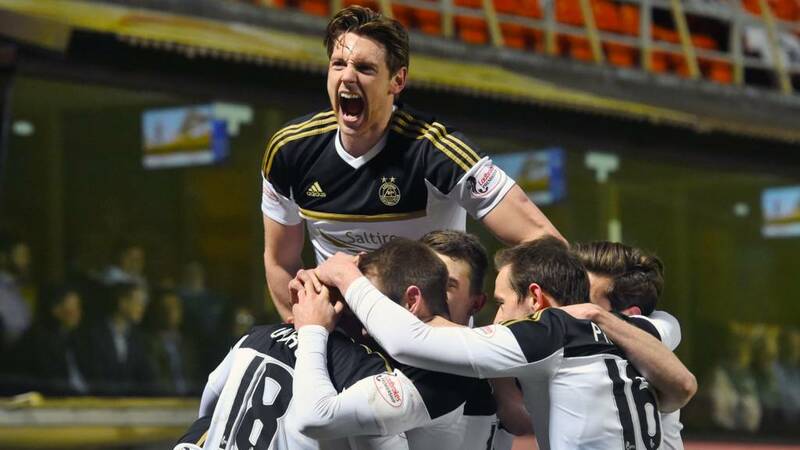 If Aberdeen hold on, the Dons will narrow the gap on the league leaders to four points.